The colour is a light gold. Classic bourbon cask notes on the nose, with coconut, vanilla, toffee, honey and toasted oak. Underripe peach. Light creme brûlée underneath. Water brings out more of the cask - but also a bitterness. Pleasant enough but a bit too young and spirity. 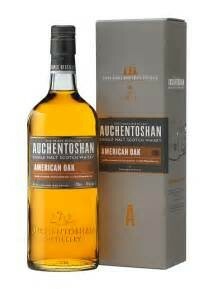 Silky smooth on the palate with toasted pecans, more coconut, a hint of citrus and the standard caramel/vanilla combo. Slight hint of spice - and a bit of Big League Chew! Still, too bland to really work for me, and water doesn't help much. The finish is very short and nondescript: a bit of oak, light toffee and meringue. 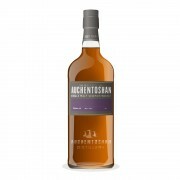 I'm extremely hit-and-miss on Auchentoshan, and this bottling is a good example of why. For me, the bourbon cask notes combined with the young, triple-distilled spirit just strike me as bland - if I swished out a cask would it taste much different?? Anyway, on the website it has a few cocktails, one of which is the "Glasgow Mule" (Auchentoshan American Oak, lime and ginger beer). I made one, and all I can taste is the ginger beer. Which is not a bad thing. I just noticed that I reviewed this already, in November 2015, at which time I gave it a slightly higher score of 79. Funny, I always do a Google search for my reviews on Connosr, but that one did not come up. Oh well! Guess I'm getting more and more particular as I get older! Granted I only have 20% of the reviews you do, but can't always remember which I reviewed (though I try to keep a record now). I find the Connosr search engine very helpful. 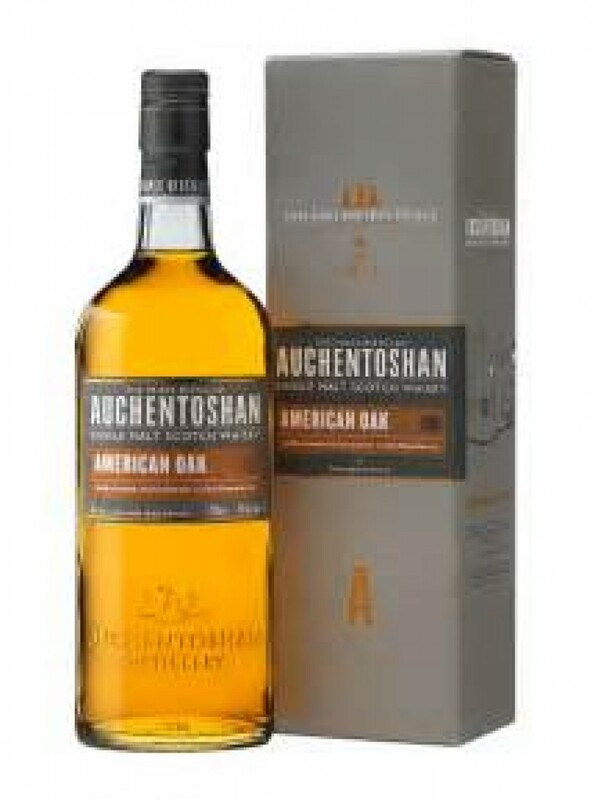 I've only ever tried the Auchentoshan 12, and I was so underwhelmed by it that I don't think I could ever spend another dollar on a bottle of their whisky. It wasn't bad, but incredibly nondescript, bland and uninteresting. @OdysseusUnbound If you get a chance to try any of their limited editions (which are often a higher ABV or cask strength), do so - some of them are quite good.